Carb cycling is pretty common when you are on a cut. eat a day with higher carbs. This is called a Refeed. Some people are good with a CHEAT meal (not cheat day). A re-feed is a controlled carb up. The simple reasons for a re-feed. 1. Your brain. Who doesn’t feel better when you get extra food!! 2. Hormone balance. Refeeds help to raise the hormone leptin. As you diet, those levels drop. Refeeds keep your body burning optimally. 1. keep your fats as low as possible. 2. Reduce your protein intake to 1g protein per pound of body weight. 4. Fiber is reduced on refeed day. Fiber slows digestion. Quickie carbs! That’s an interesting place to be. What can you eat that isn’t fruit and doesn’t have a lot of fat? Skinny pop is out! Boooo! In my first prep, I was 1 million weeks out from my show and eating 50 carbs a day because that’s what my coach wanted me to do. OMG. My refeed day was 12 cups of cooked brown rice. There was no other option. I think I cried. GROSS. I don’t eat rice anymore. Some people re-feed with pop tarts, cereal and fun things like that. That’s cool watch your fats on that. Pasta, bread, sf ice cream, cream of wheat, grits.. see where I’m going? Pure startch. I prefer froyo. I go low fat on that. I bring my own scale to the Froyo store!! What do you use for your re-feed day? LEARNIIFYM and we will help you with our online classes!! 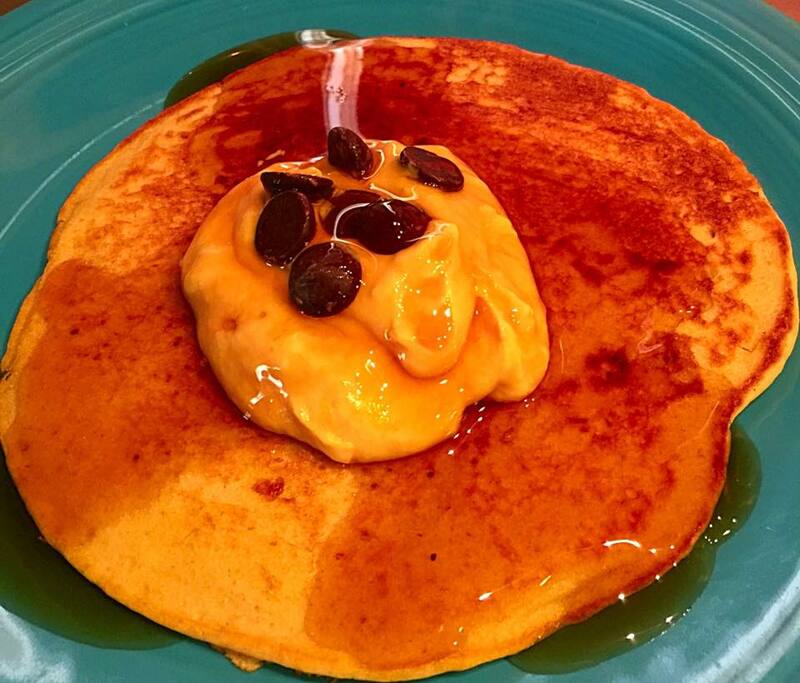 yumm- i want to try that pancake recipe! It was so good. That Kodiak mix is great. I can’t wait for off season! GLuten free donuts! 30 carbs, 8 fat and 2 protein! 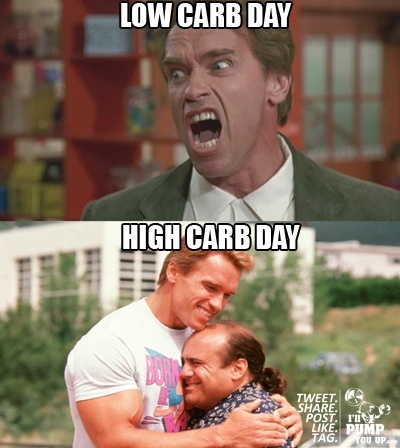 Im currently cutting too and my trainer has me carb cycling, its def hard but thinking about my reefed day gets me through the week and low carb days. I’m like do it for the donut! omg.. I want to try this donut. I had a hard time with my carb up yesterday. I’m super bloated today. I need to make a better choice. The pancake was fine. The white potato messed me up! Is this donut at the store? ?